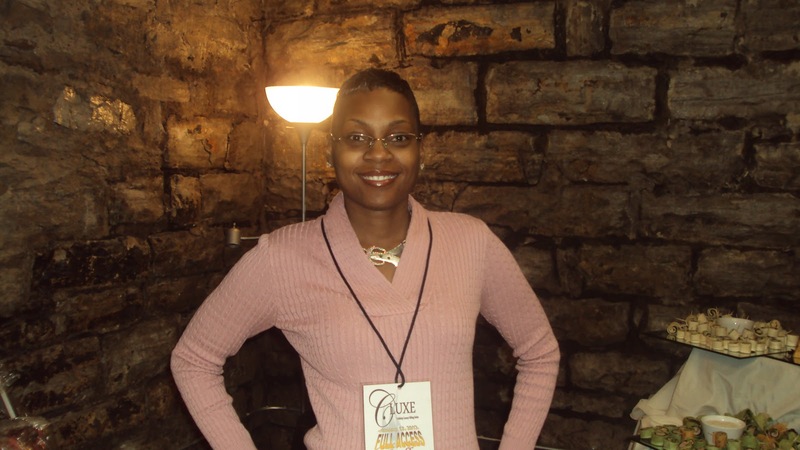 Some of you may know and some of you may not know but a week ago today, I was presenting my Custom Gift Baskets in Stellar Awards gifting suite!! For me, this was a HUGE deal! 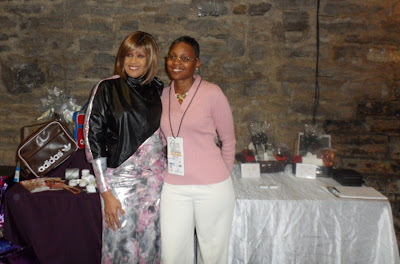 Not only was I presenting my product to some of my favorite Gospel artists, but I had a chance to hang out with them as well (before and after their concert performances). We laughed, we joked, and had great food, provided by Chef David Owens too. Since it's approaching Valentine's Day, I decided to put together a few gift baskets that would reflect the day of love and showcase my ability to keep multiple baskets in a theme while sticking to an individual person or personality. In this case, I did a gift basket for a man, woman, and teenager that loved music, in the color palette of red, silver, and black. Each one had "love notes" that were gender specific and age appropriate, provided by Distinctive Inscriptions Calligraphy. 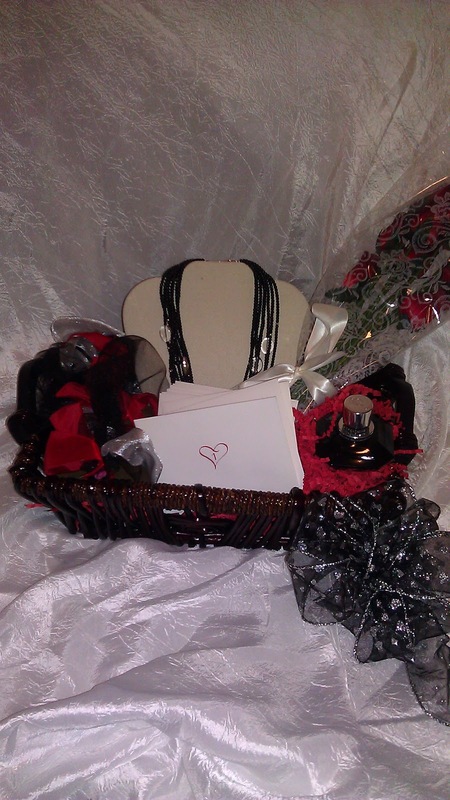 The woman's basket included Artisan Truffles, which were provided by Shocolaate, and a necklace provided by Silpada. 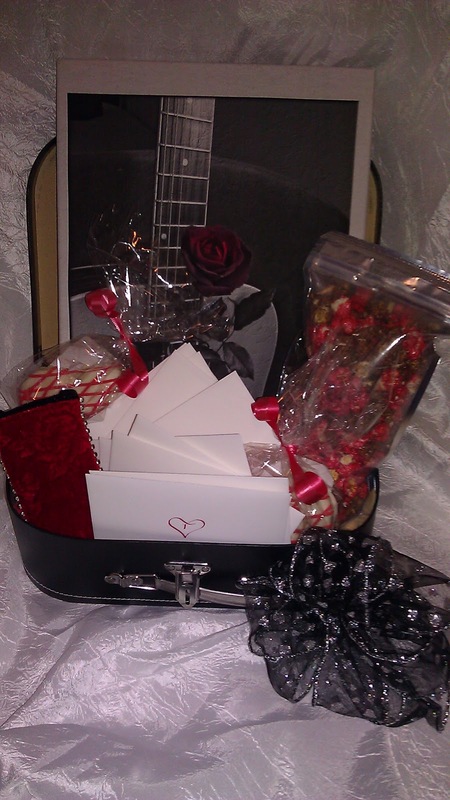 The teenage music basket included a canvas photo, a rose embossed iPod carrier, chocolate covered cherry popcorn, and Heart Shaped Cookies, which were provided by Cookies by Design. The response was more than positive and everything I could have asked for. Here are two of the gift baskets that I showcased. I couldn't have been more pleased to know that the people whose music I often turn to, to lift my spirits, were truly down to earth. Each celebrity would come to the gifting suite after their concert performance or sit and relax a bit before going on stage. The concert was 25 acts and such a great experience for me and the other fans. Here are a few pictures that were taken during the event, by The Marque Group. 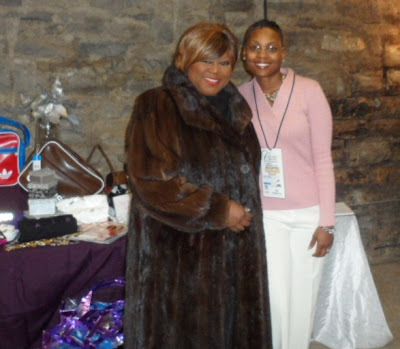 The professional photos haven't come back yet, but I'm happy to share them with you.. From top to bottom, myself, me with Dorinda Clark Cole, and myself and Shirley Murdock.